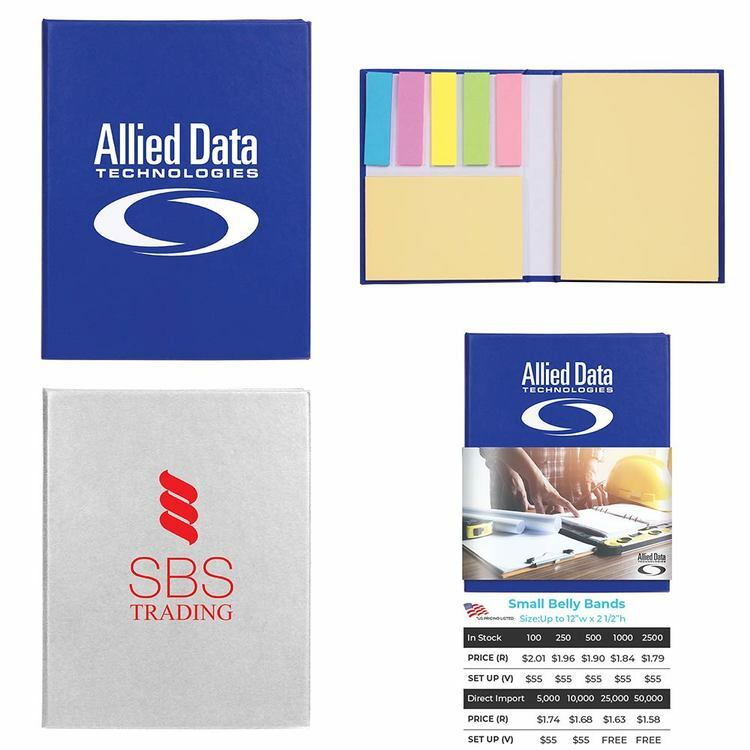 This desk memo set is ready to meet any need or budget. 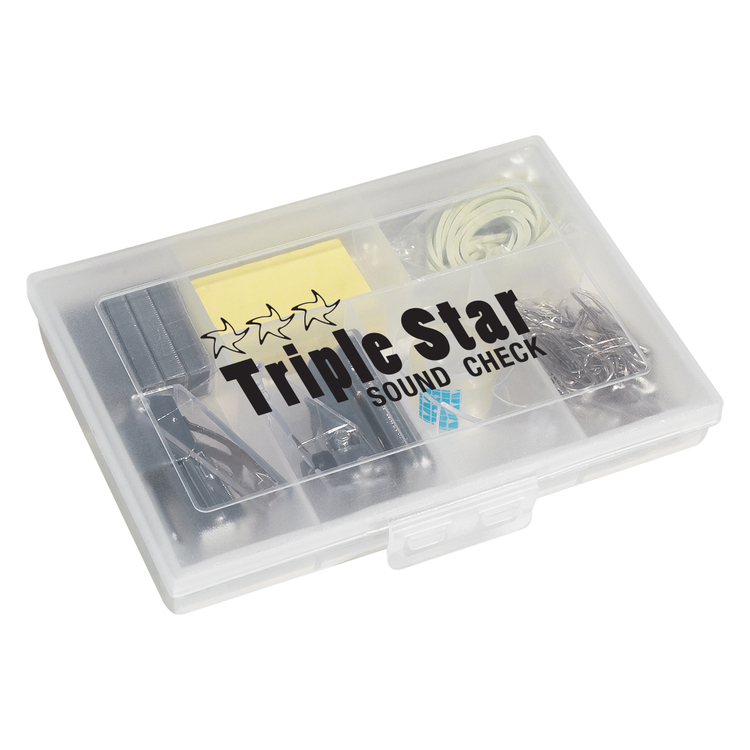 Included is a matching pen & pencil under the lid, 3" x 3" self stick notes and a useful paper clip tray. 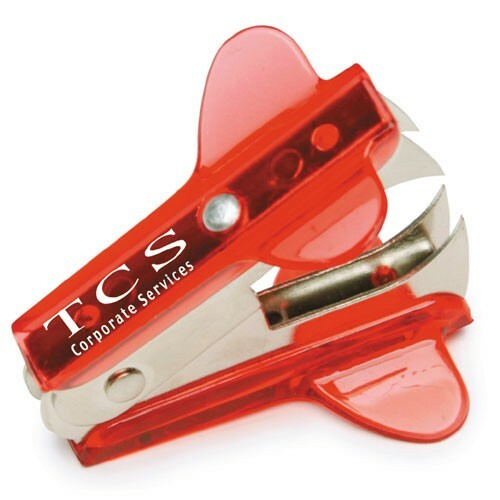 Your clients will take note of your thoughtfulness each time they use this wonderful gift. Available in walnut, rosewood or maple. 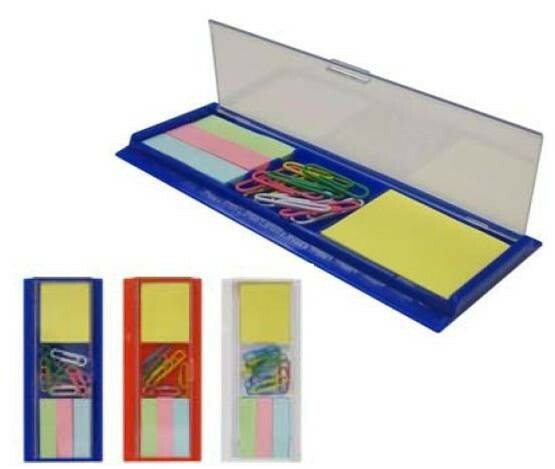 Ruler that contains paper clips, sticky notes, and colored sticky tabs. Ruler on one side measures inches in 1/16" increments. The other side is metric and measures in mm increments. Comes in three colors to choose from. Includes one color imprint in one location. Keep Your Company Front and Center! 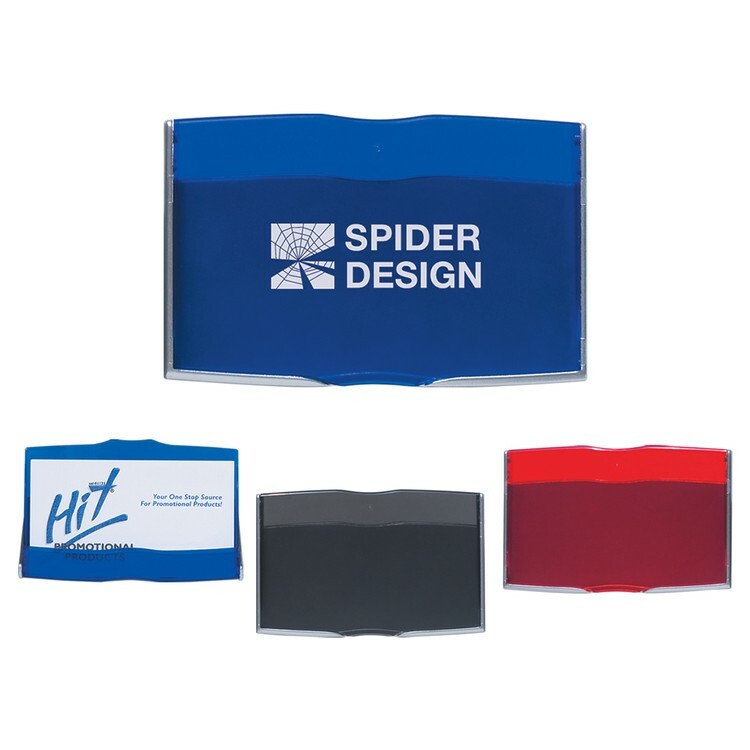 What better way to keep your company logo and information in front of your customers every day! 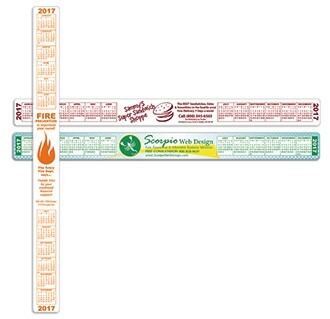 Our Keyboard Calendar is constructed of white flexible vinyl and features a full adhesive backing. With a large imprint area, your customers will see your ad EVERY DAY they use their computer. Stylish Howard Miller clock and pen set with an optical glass crystal base. 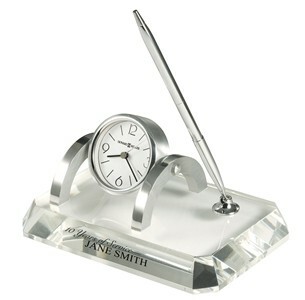 Features brushed and polished silver-tone accents on clock and pen. The simple clock dial is accented with black hour and minute hands and silver seconds hand. The back of the clock also features a picture frame holder. The pen is compatible with AT Cross refills. Quartz, battery-operated movement includes one L44 battery. Customization charges additional. 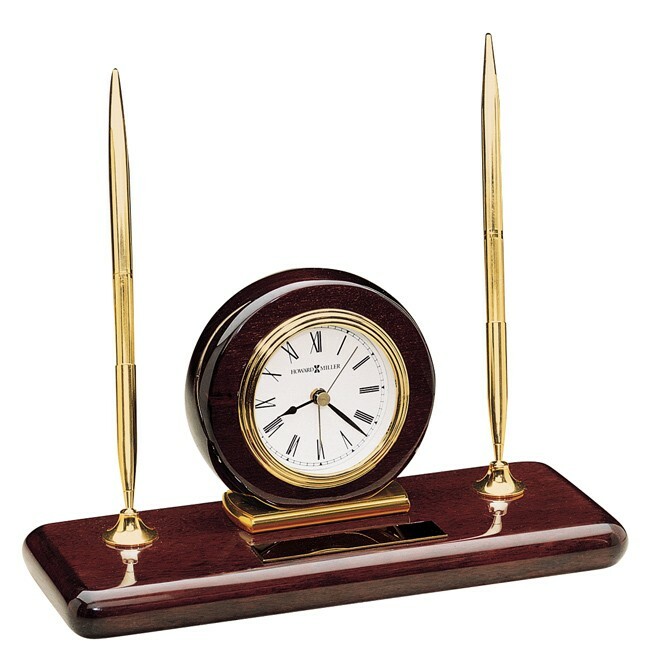 · Howard Miller clock finished in High-gloss Rosewood Hall on select hardwoods and veneers with two solid brass pens. 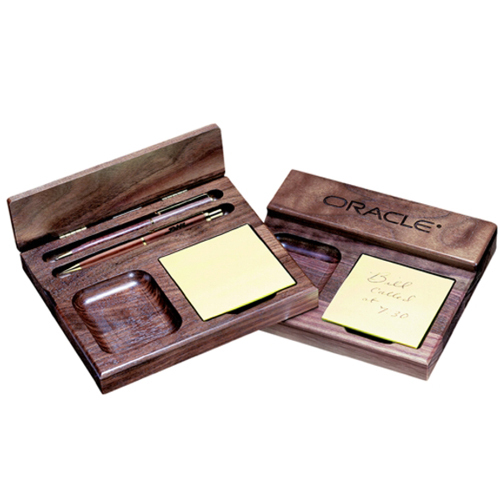 · Brass plate is included for personalization. Customization charges are additional. · Quartz, alarm movement includes 1 AA battery. • Comes with three different sized sticky notes: • 100 yellow sheets (4”x 3”); 25 yellow sheets (3”x 2”) and 25 page marker strips in five neon colors. 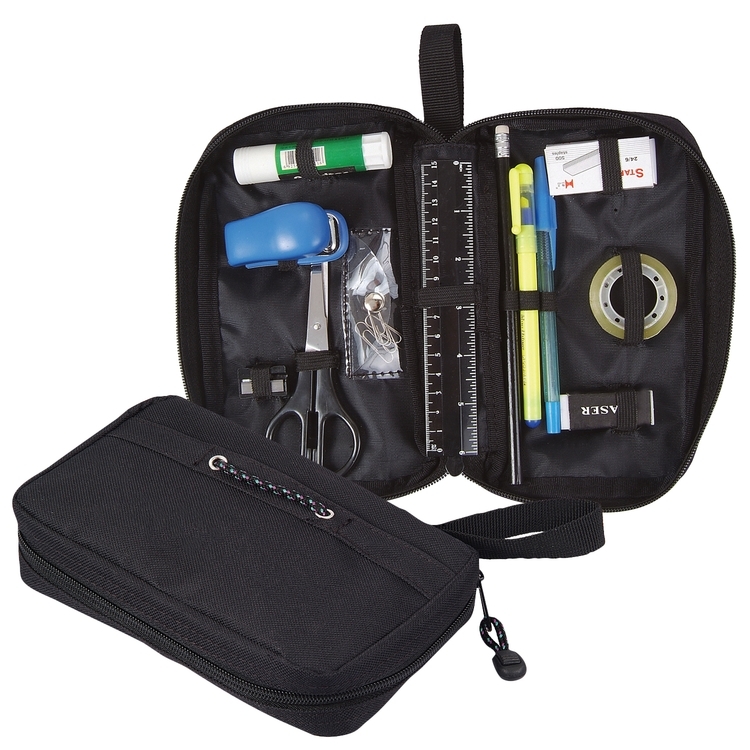 • Great for the office, home or school.